The Beardly: Fascinating. 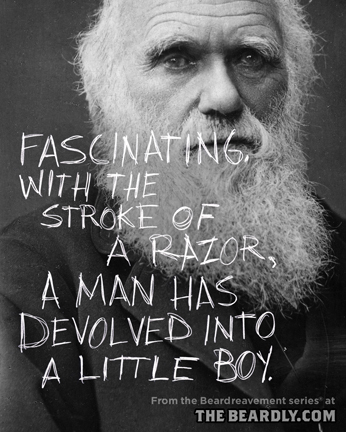 With the stroke of a razor, a man has devolved into a little boy. Fascinating. With the stroke of a razor, a man has devolved into a little boy.